Finally, a crafting post! 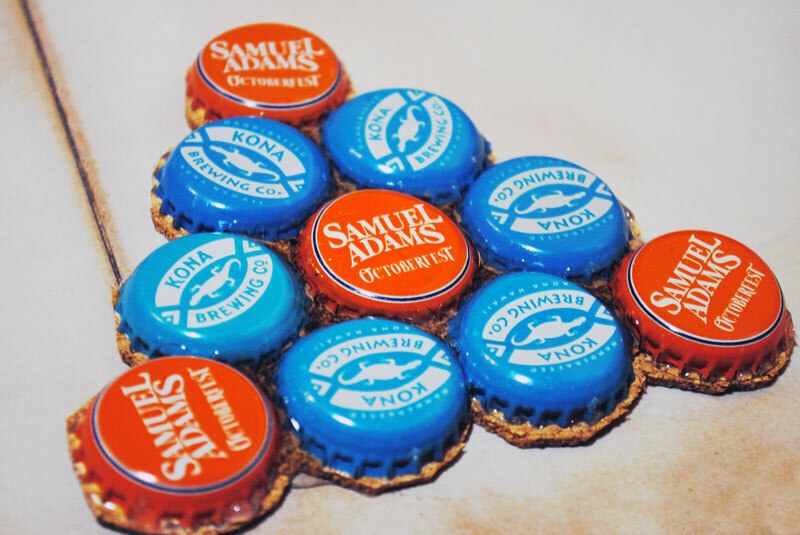 There’s nothing better than a nice DIY project every once in awhile. 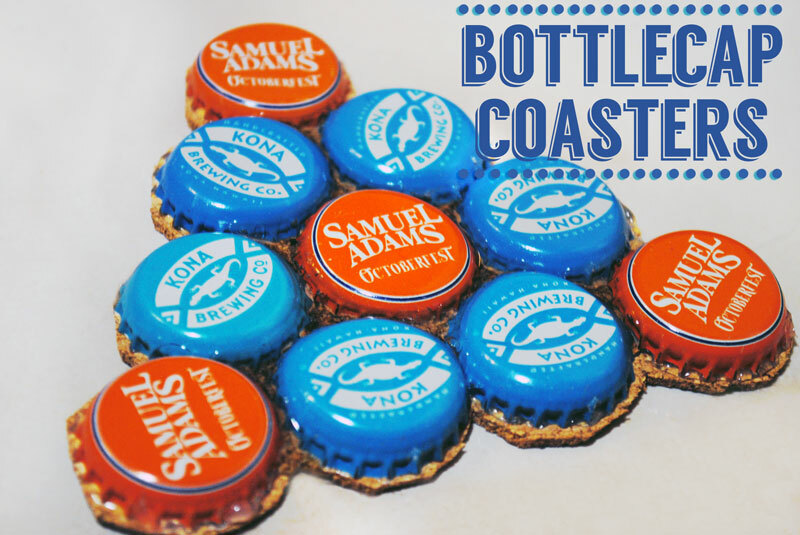 Sean and his brother have been collecting beer bottle caps for roughly a year now, and after seeing the HUNDREDS they had saved up, I just knew we had to make something with them. Now, don’t get me wrong, I think the cat coasters they have in their apartment are silly and quirky and fun, but I thought they could use a more manly update. 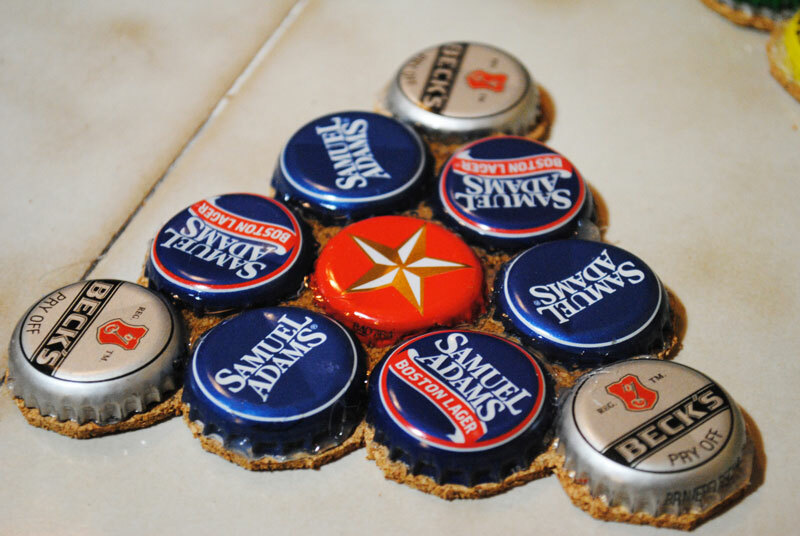 I’ve seen DIY bottlecap coaster projects on Pinterest, and I thought, PERFECT! I can do that. So we gathered up all of our supplies, picked a nice quiet night to work, and got started. 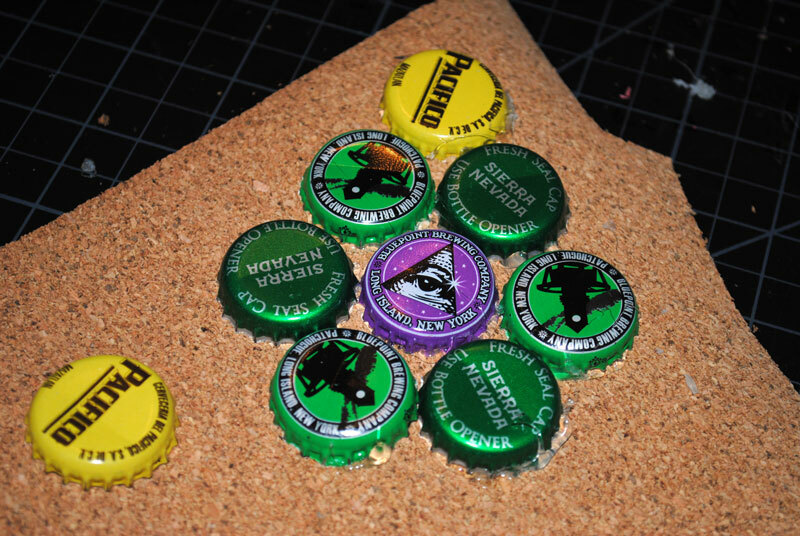 Then, we hot glued our bottle caps down onto the cork in the triangle shape. 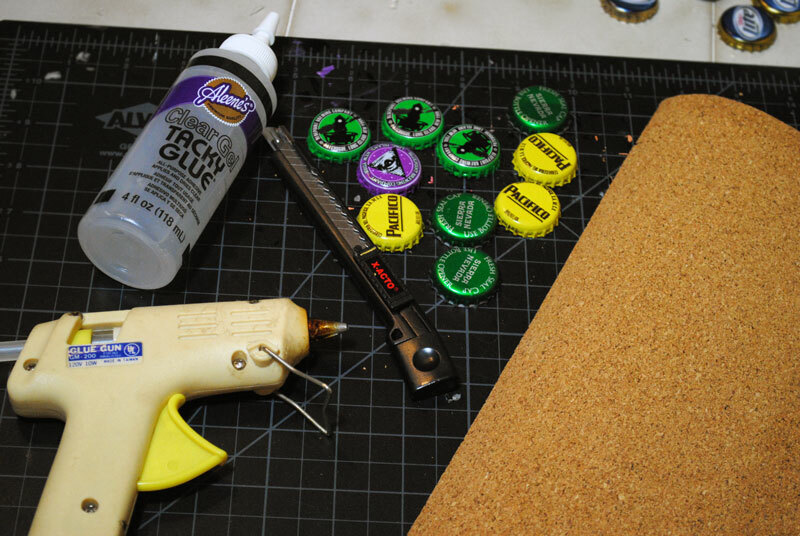 (*Note: At first, we tried to use the tacky glue to adhere the bottle caps to the cork, but because it was not drying fast enough, they weren’t sticking. 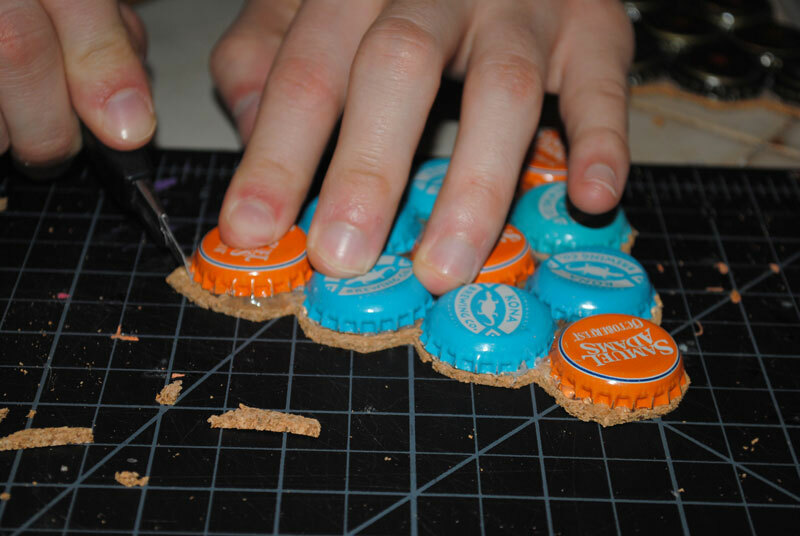 So we used hot glued on the bottom edge of the bottle cap.) 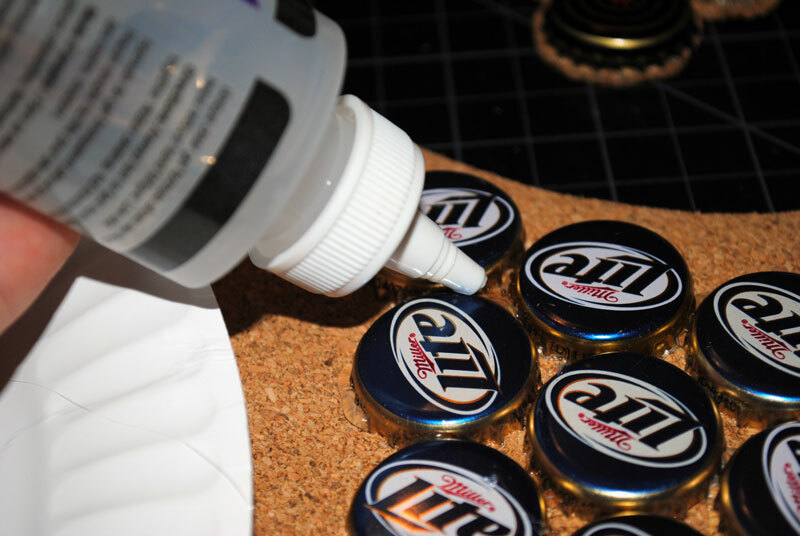 In our project, the tacky glue was used to fill in the gaps between the bottle caps, just as an added security that they would stay put. 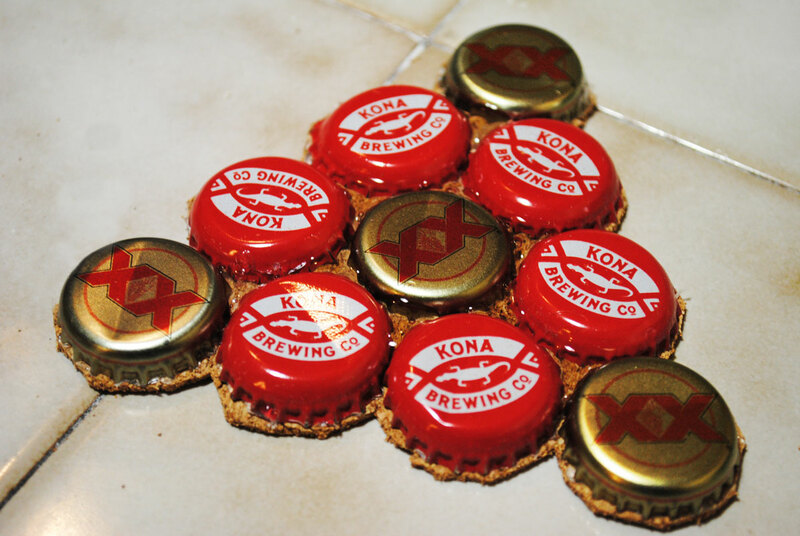 Once all of the bottle caps were adhered, we trimmed around the edge of the cork so that the cork did not show beyond the bottle caps. The finished products were left untouched overnight, just to make sure all of the tacky glue was dry. This one, I like to call ‘MERICA. Overall, we were really impressed with our creations. It was nice to work on a DIY craft instead of schoolwork, and they doubled as a nice crafty christmas present to give to Sean’s brother and his girlfriend. 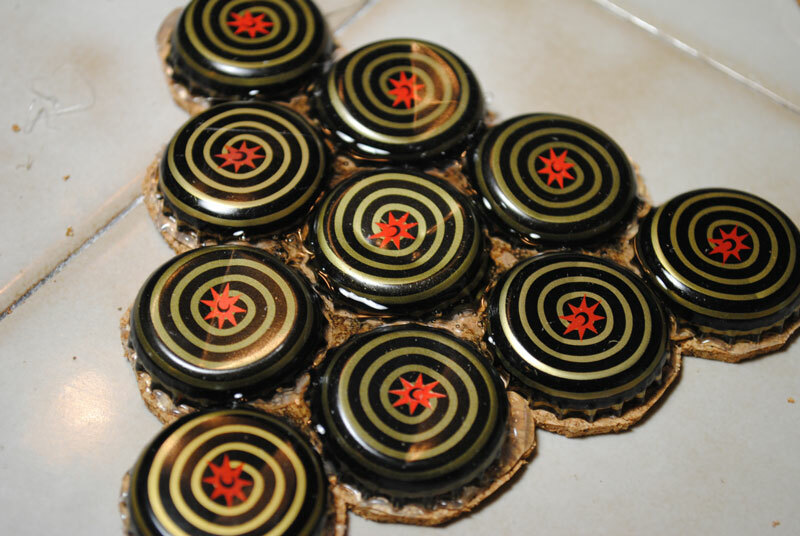 Looking back, I would have probably went for a thicker cut of cork, just to add more stability to the coasters. Also, I found that the twist off bottle caps are flatter and just a bit more stable than the ones that are bent from bottle openers. But they’re ALL awesome. For another simple DIY gift, check out our DIY Polaroid Photo Display. 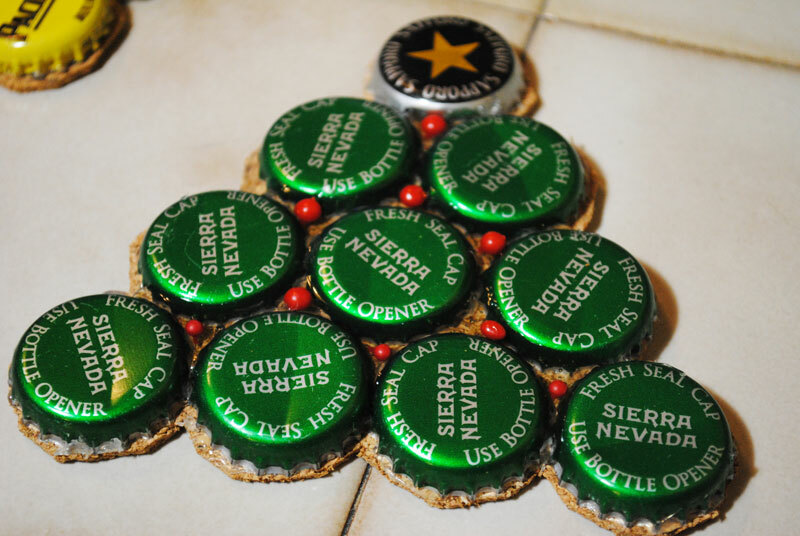 Pingback: 11 Creative Ways to Use Your Leftover Bottle Caps - How to do everything!